HISTORY AWAITS IN London this weekend with a Grand Slam on the line. Ireland travel to Twickenham knowing they’ll lift the Six Nations trophy on St Patrick’s Day but Joe Schmidt will be determined to make it his first tournament clean sweep as well. We’ll be giddily discussing how they can get the job done once again in a live Six Nations Show at the East Side Tavern on Leeson Street, Dublin on Thursday evening. Our very own Murray Kinsella and Gavan Casey will be joined by former Leinster and Ireland man Mike McCarthy to break down the Xs and Os, look back on Scotland’s visit to Dublin, and pinpoint exactly where Ireland’s vital game against Eddie Jones’ side this weekend can be won and lost. 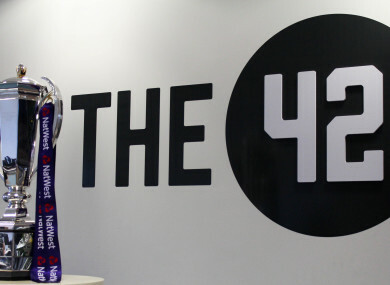 Email “Be part of the audience for The42 Six Nations Show Live: England v Ireland”. Feedback on “Be part of the audience for The42 Six Nations Show Live: England v Ireland”.